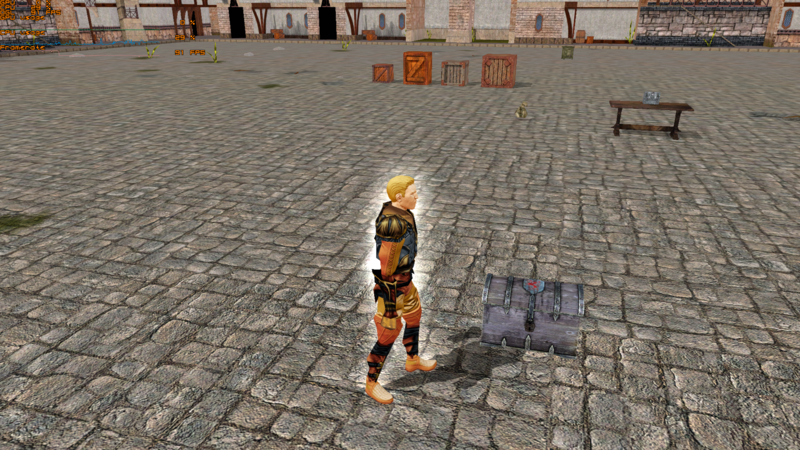 As quick update on progress, I have not fix the shader seams on all of the models yet. On the candle stand it was not a simple fix even after I removed the vertex doubles the the entire model was smooth with no sharp shading on the sharp edges. The shader seams were because on import where there were split vertex it would split the entire mesh, so blender would say"hey there is a mesh seam here shader". 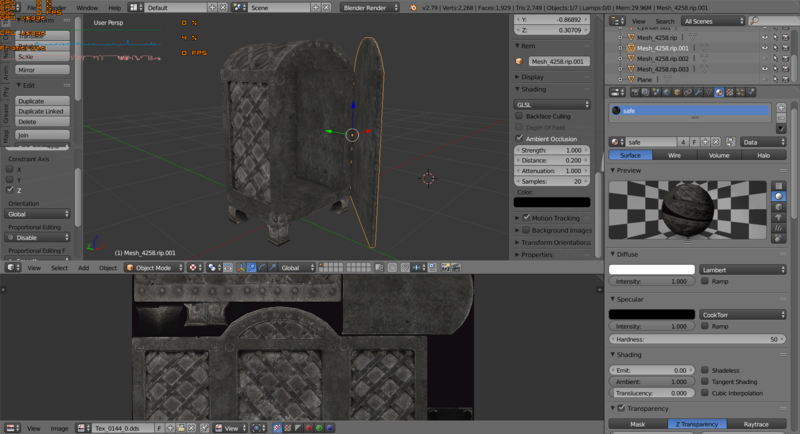 So I had to duplicate the model then use the duplicate as a reference to see where they split the vertex. 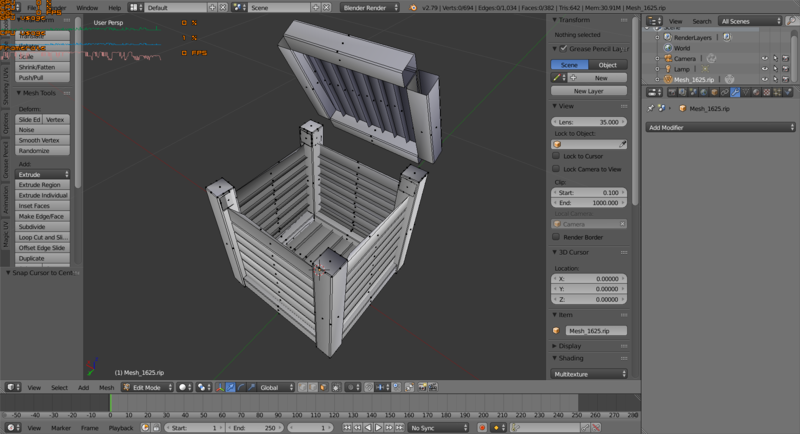 On the other one I removed the doubles and then manually re-marked the sharp edges and used the edge split modifier to tell blender to make the edges use sharp shading and not to split the mesh. As for the dangly mesh plants I notice that when you just stand by them they will continue to shake, I do not know if that is how they are intended to act or if it is a bug. Also when a dangly plant first loads on screen there is a slight hang/freeze, they do not load with the area and i'm not sure if this is a bug either. A workaround for this is to have one at least one dangly mesh near where you load in, that way it will just load up as you start and you will not even notice it. From what i could tell it only hangs when the first dangly plant shows on screen and does not do it again, but i need to test this in a bigger area. Wow it has been 3 weeks sense I last posted, but it was worth the wait and I now finally have something ready to show. What's is the pot cook?..............turnips. It has been a long busy 3 weeks and I really did not get to work on this much over that time. If I have learned anything about making emitters it is this, making emitters is very tedious, very time consuming and it involves a lot of trial and error. 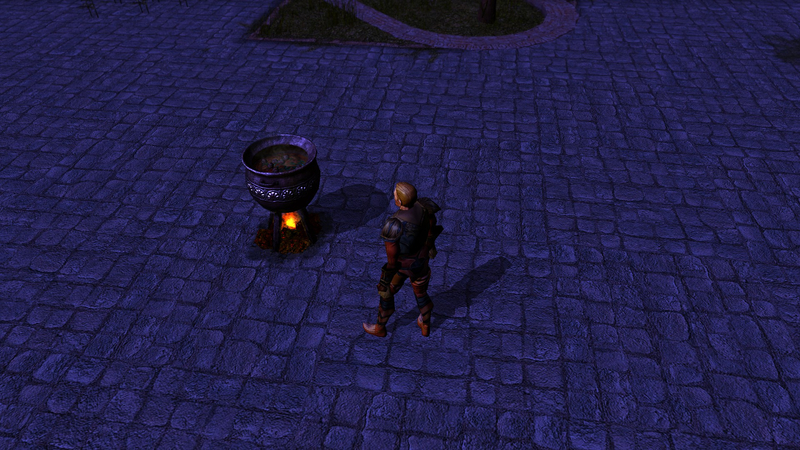 All I have worked on so far is the cooking pot as I call it. The steam coming off the pot emitter is done, but you can not really see it in the image much. I did not find out until after I got done with it that the texture I used for the steam is really the texture from the smoke from the pipe the guy is smoking over by the medic area in the camp, I thought it looked good so I kept it. 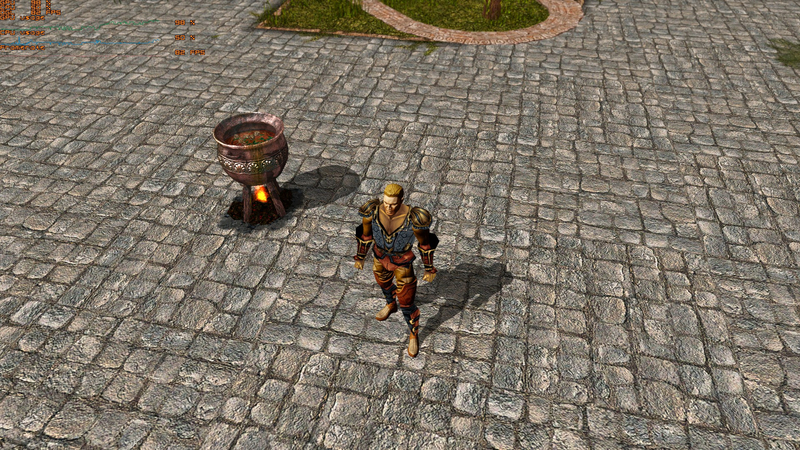 The fire was and is another ball game, after spending quite a few hours trying to get something that looked anything like the fire in TW2 with the default fire textures, which I started and restarted at least twice, I gave up on the default textures. Instead I got a image off the internet and decided to make my own fire emitter. I put a lot of hours going in and out of blender, changing settings to the emitter, in and out of gimp doing things with the image and in and out of nwn's toolset to see how each change looked. And I am still not completely satisfied how the fire turned out, there is still more I could do to it, but after all the hours I can tell you, no matter what you do, there is always MORE you can do to a emitter and it just got to a point where I had to say OK...... its time to move to something else now. I think it looks good for the time I put in and I do want to go back at some point and work on it some more. There is also another emitter in the same place as the fire that throws sparks/embers, it uses the spark texture from TW2. There is a light under the pot but it is not very strong, I did this because if it is too strong it will shine through the pot which I thought looked tacky. One way around this is to use a 2da aurora light, but to me the aurora lights are really too bright for this, I don't know I might go back and put one later if anybody wants it. One problem with the fire that you will not see on the cooking pot because the pot hides it is, the fire emitter is Aligned_to_World_Z which means if you stand right on top of the fire then look straight down it will disappear. I had to do this because I used a tall texture instead of a round one..... for reasons, lets just say after doing a lot of testing it is just easier to get something that looks like fire instead of yellow/orange smoke if you use a tall texture. So the rocks and the logs glow and flicker orange in the TW2, what you are seeing is a type of mask like the one they used on the plant and it is also a animated material and making it look like this in nwn is beyond my modding skills right now to say the least. What I did instead was split the rock into 2 objects and used 2 selfillum colors to make them glow, so the rocks in the middle glow brighter than the ones at the edge. One more to go and it will be time for another alpha release. So I changed my mind on the 2da light, they look good and I used them on the campfire and the other cooking fire. One problem was that the light would still show inside the rim of the pot, it would also show a bit of the shadow that the sun/moon cast on the inside of the pot on the food. 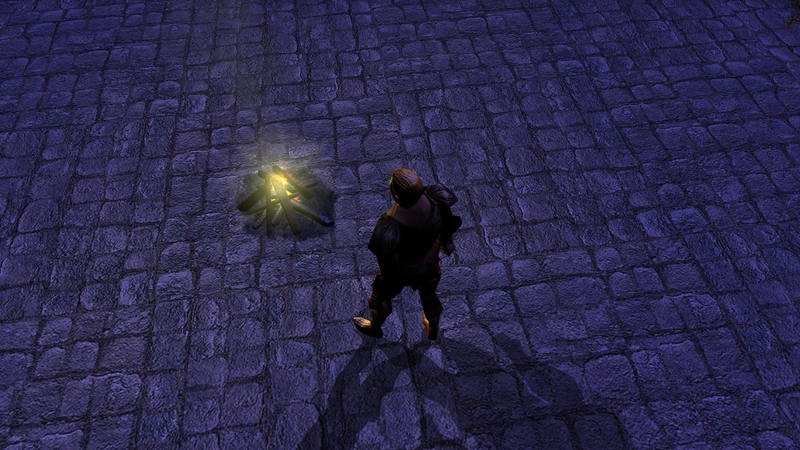 This is just one of the problems with NWN lighting rearing its head. If a object is too complex it will cast its own shadow and on itself, this can be seen happening on the trees that I released last update. I know this and left it that way on the trees for 2 reasons I guess, one, everything about the trees shadows looked good except for the fact that they cast their shadows on themselves and two, Beamdog said at some point they plan to update the lighting in NWN, which is hopefully going to fix this problem. Anyway I did find a way to make everything work right on the pot, I did it by modifying the model a bit so that it is not as deep. In blender I selected all of the faces of the food in the pot and moved them all up closer to the rim and welded/merged the verts to the base of the rims verts and this worked, now the pot looks fuller,it no longer cast its shadow on itself and the 2da light does not shine through it. Last one, I just have a bit of stuff to touch up and the fire models are done. Then it will be time for alpha 3, which I would like to have done some time this week, but I have to work a lot this week so we will see. I hate that glaring 2da light flare, I have not changed it yet because the only way to do it is to change base texture it uses, which will change the way every 2da light looks in the game and I did not want to force that on anybody that uses this hak...but I hate it. So no, I did not get the new update out last week, I had to work all last weekend and have to work this weekend too. I ran into a few things the last two days that I was off that I had to fix. I did figure out how to make the blender lights flicker with the default and on animations. In the next few days I am going to add that to the models and try to get a build that is compatible with project Q, More TNO Placeables and the Witcher 1 placeable pack, but everything else is done. I'm still RL working all the time. I was about to start working on the new 2da, but I had to do some testing on the models first. 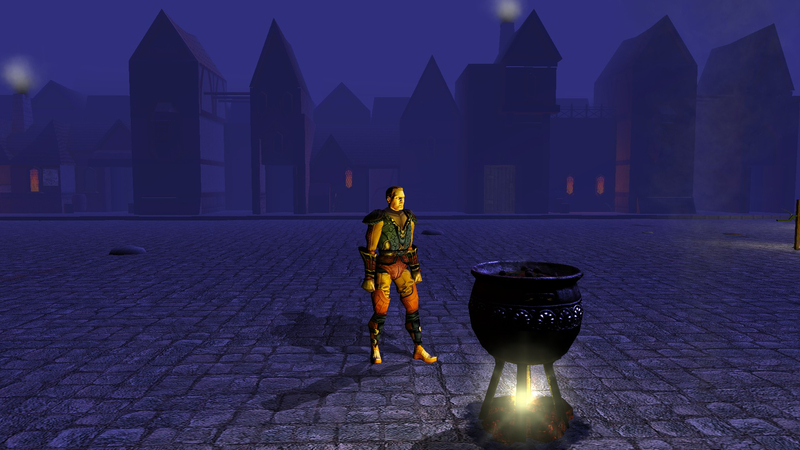 Some time after putting the new animated lights on them, the campfire started crashing the game when I destroyed it and the cooking pots light animation was playing twice as fast as the others. So I'm still trying to figure all that out. I have been working on the last big feature I plan to have before a beta release for this pack the last few days (Containers). 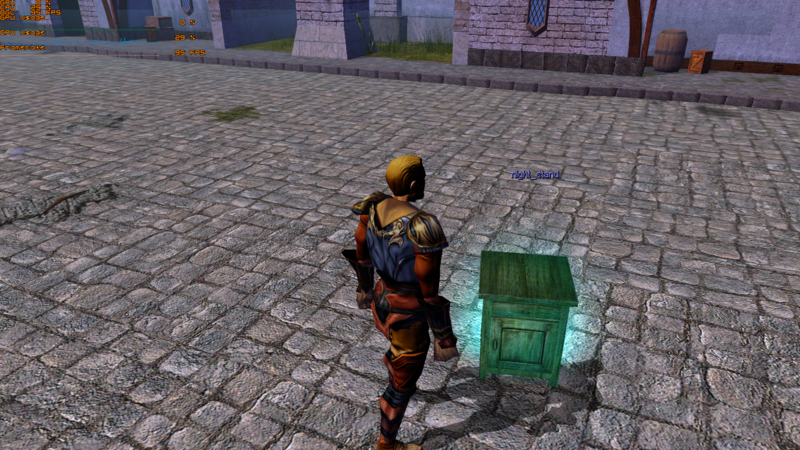 Every placeable in nwn can be a container, but all of the official container models in nwn are animated. 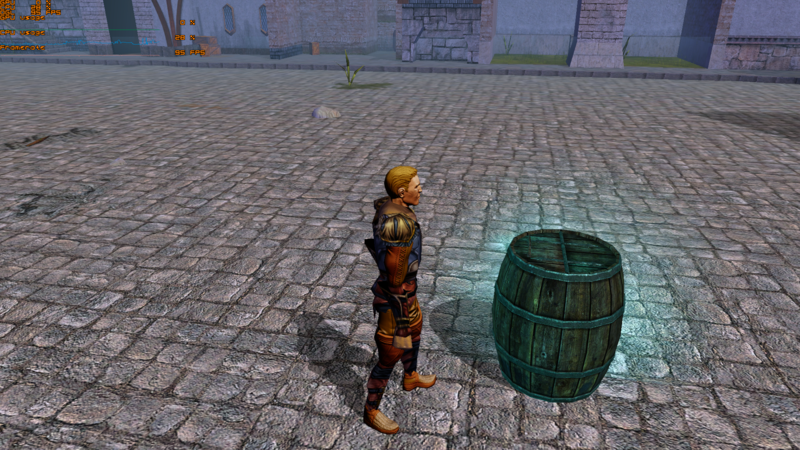 This is a bit of a problem because containers in the witcher 2 are not animated, they are not meant to be opened so they have no inside geometry. There was more work to be done this time and it was a bit of a test for me to see how much I have learned. 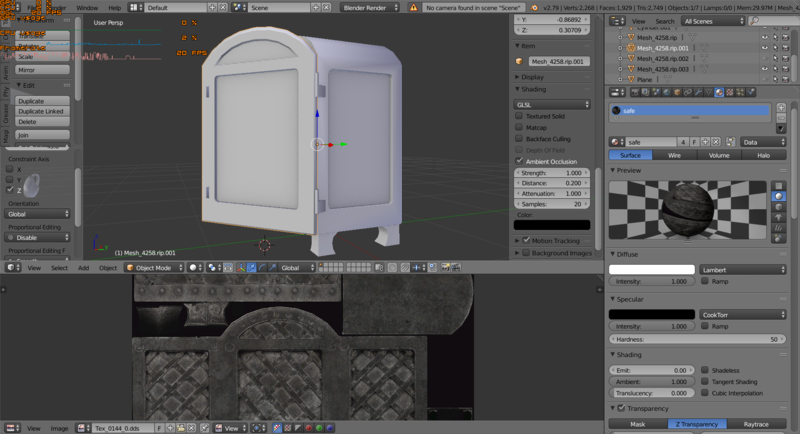 I had to learn to animate because you cannot simply copy/paste the animations to a container and I had to do some modeling and uv mapping too. 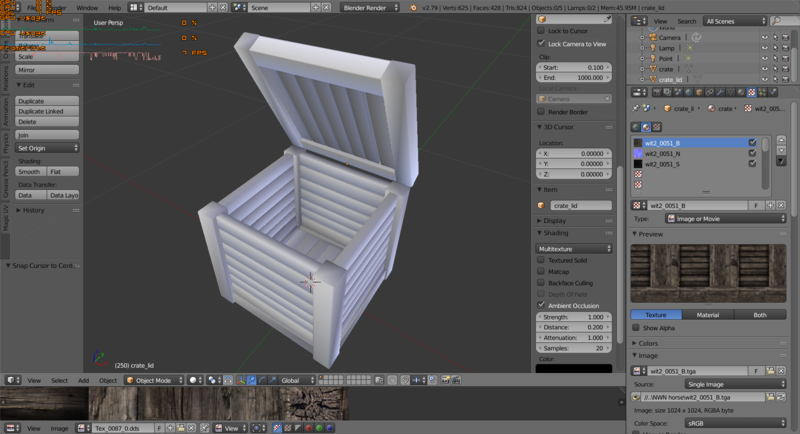 There will be no shadows on some of these container models, because if there are un-welded/merged vertices on a model it will mess up the shadows and to get the new inside geometry and to have all the vertices merged, I would have had to re-model the whole thing, which would mess up all of the uv's, which would mean I would have to re-map all of the uv's and....no....just no. CleanModels 3 is a stand-alone program for detecting and repairing commonplace faults (and some not-so-commonplace faults) automatically in batches of NWN models. It's a bit hard to explain, but on a proper mesh every vertex connects to another vertex and there are no dead ends. On this model there are and were dead ends, there are faces that go through other faces and stop. I really think NWN2 did such a good job on surpassing NWN that it is a mistake to waste so much efforts on enhancing that outdated game. I purchased the platinum addition, NWN 1 with add-ons, years after originally playing it, and the graphics were still made for 'small' 256MB cards, not PCI-Express with 1024MB or 2048MB, which are nowadays already LOW PC hardware standards. Being trapped due low income I can happily lean back, "I am merely a chromebook user...". 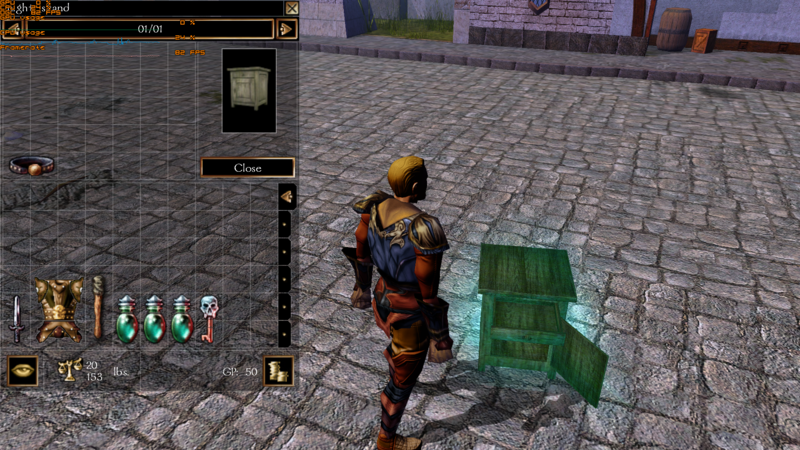 But truthfully: I pay € 10,99,- for BG2 Throne of Baal stuff, but I will NOT pay € 0,99,- (again) for NWN. I would pay for NWN 2 though, loved its potential, even with much unused or only available due modders! 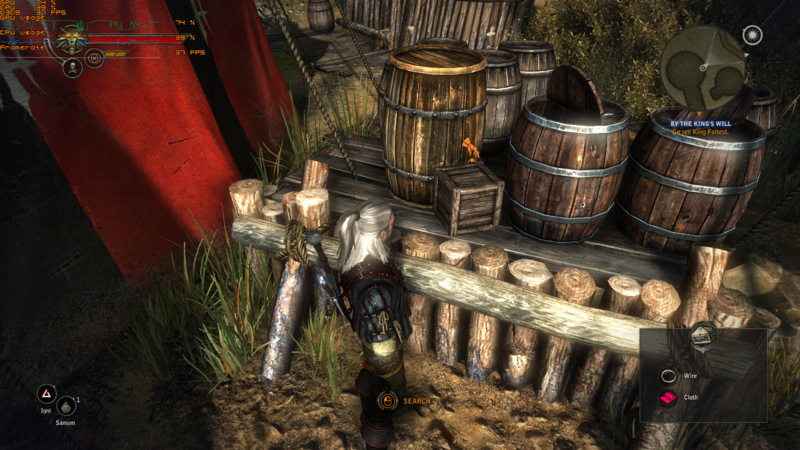 Witcher 2 was among the last Enhanced games I played on PC. 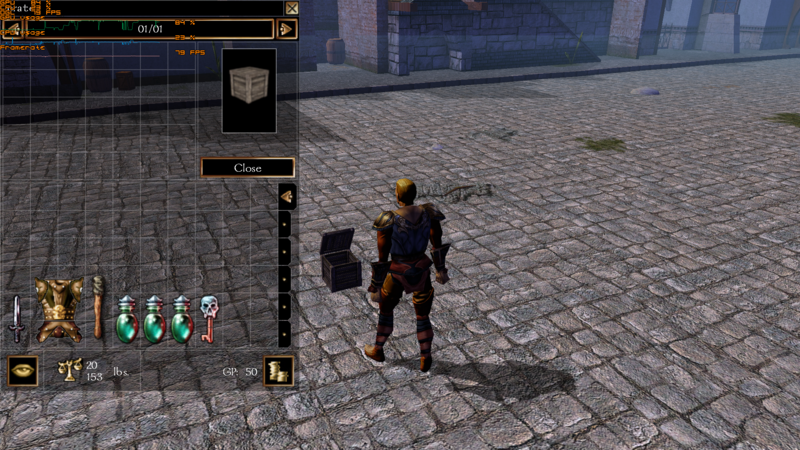 I would agree the graphics being better, but it is tricky, when Beamdog has to bind itself contractually. The big ones don't like to share, and I don't know too many officials who really care about what customers want. You are not the only person that liked nwn2 better. 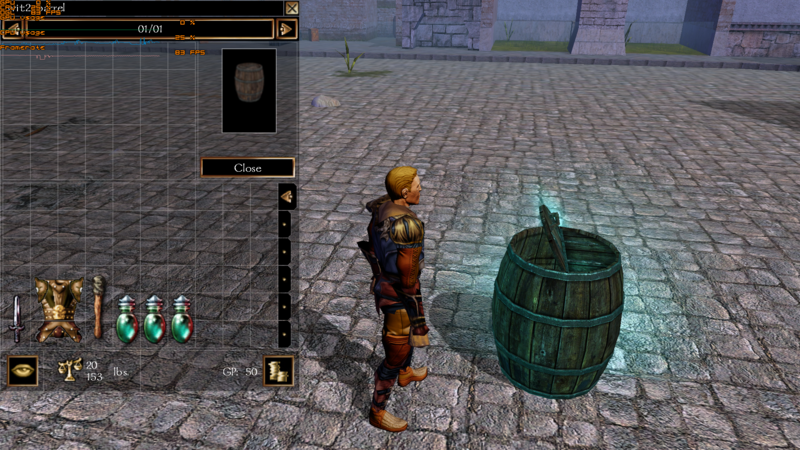 Beamdog chose nwn1 for their own reasons and that was their decision to make. This is not me taking sides on the nwn1 vs nwn2 discussion, I did when I started, but I am not doing that anymore. Over the years both games could have been continued to be developed by any other company that baught the rights. 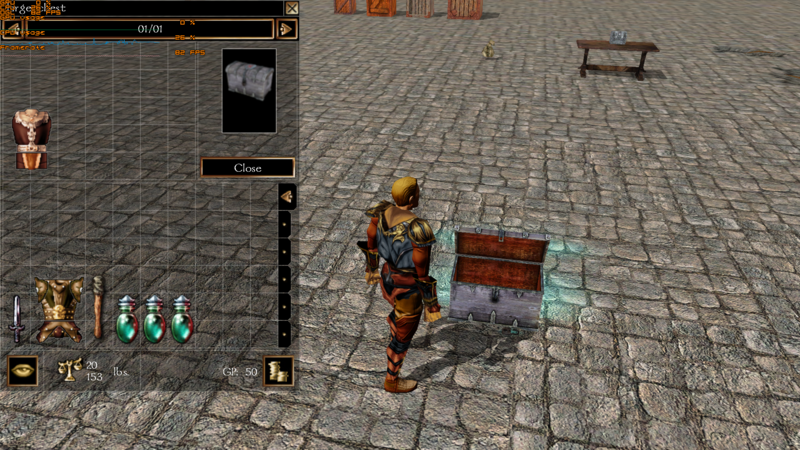 Beamdog is the one company that did and they chose nwn1. For better or worse I think the future is now brighter for nwn1. It is what it is, so those that choose to support it move forward anyway. 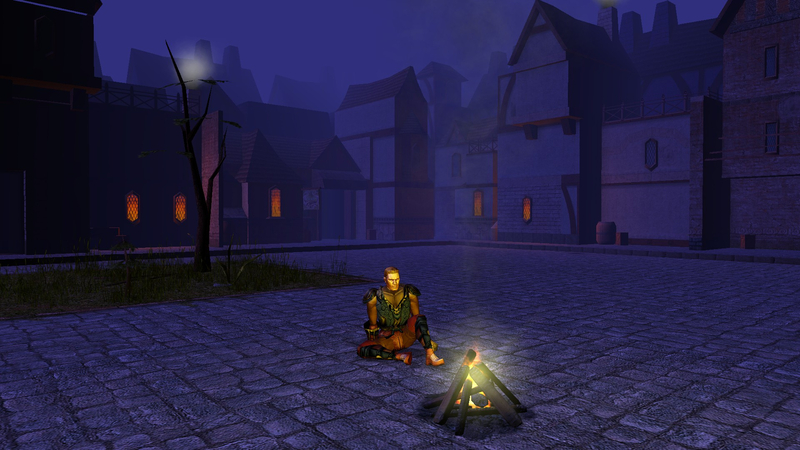 I am supporting the continued development of neverwinter nights enhanced edition and that is that, I do not know how far that will go, we will see in the future. 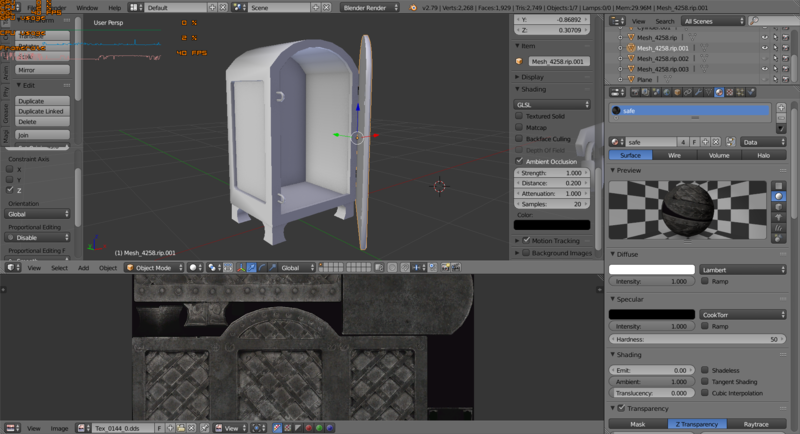 But that is not the real reason I am porting content from the witcher 2 to nwn, the real reason is I started to mod and model and learn and I enjoy doing that, that's all. If NWNEE fails I can take everything I have learned and move on, it's that simple. I finished up this last night. This chest like the small one already had all of its inside geometry, I just needed to join all the parts to make a lid and a chest part. This one also had a lock and now has a latch that I had to make. They are both animated so the lock will open and take itself off then the latch will move up off the ring and the chest will open and then they will put themselves back on when you close it. The lock and both handles will also move when you hit the chest. Oh...it has been a month sense I last posted. I have been dabbling in several things over the past month and when you spread what little time you have out over several things, not much gets done. I tried my hand at making a new tileset, I did not get very far into that. I tried making my own texture for that tileset in gimp, I did not very far into that either. I played around in the toolset and read some tutorials on the lexicon to try to learn nwscript, that is still on-going. And I have been trying to learn a programming language, C++, Ruby, python and back to C++ in that order, that is still on-going. So yeah its been busy month but I did not get a whole lot DONE. 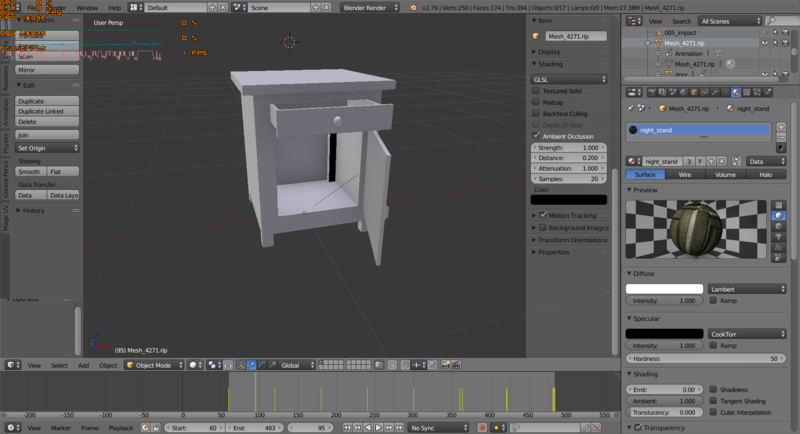 Here are some pics of the safe I have been working on that I hope to have done soon. Ok I have everything ready for the next release. I will have it up on the vault in the next day or two. It will not be CEP compatible like I wanted it to be just yet, maybe next release. I have learned so much over the past year. I know that may seem like a long time and it is, but that is the price you pay when you start not knowing how to do anything and free time is limited. Ok next up I am going back to all the models that I have worked on and finally fixing the things I did not know how to fix before. 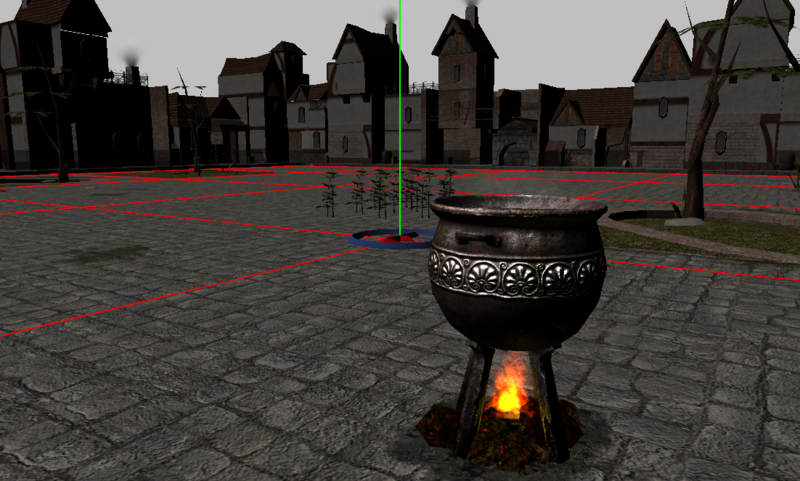 The shader seams, I need to add the vfx to the candles and make sure you can sit in the chairs. After that I may try something on those trees to get those leaves to work. 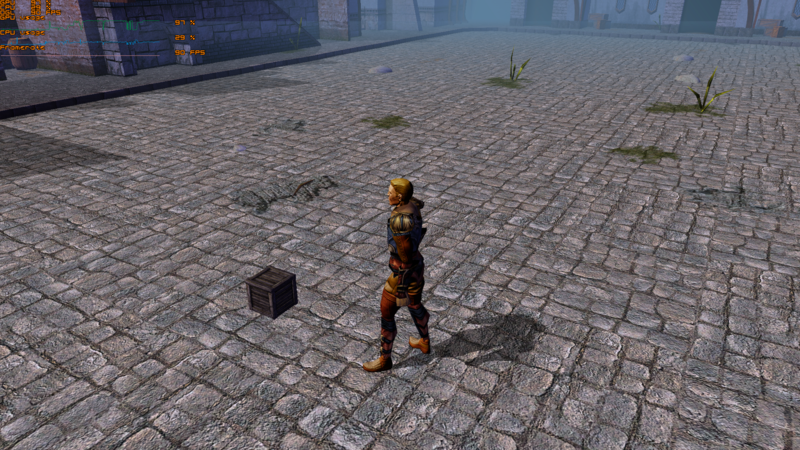 I'm thinking of trying to convert the textures so I can just make flat vertex plains similar to what most older games like nwn used instead of using billboard textures like they did in TW2. I do not know how that will work out, but we will see. Another month, I have still been working on this the past month but it has been slow. A lot of real life things have been taking up my free time the last couple of weeks. Just wanted to say this looks great. Keep up the good work. Thank you @Faerûn . Thing's have a been going slow the past few weeks because going back and fixing things is taking longer than I expected and I have a lot going on. 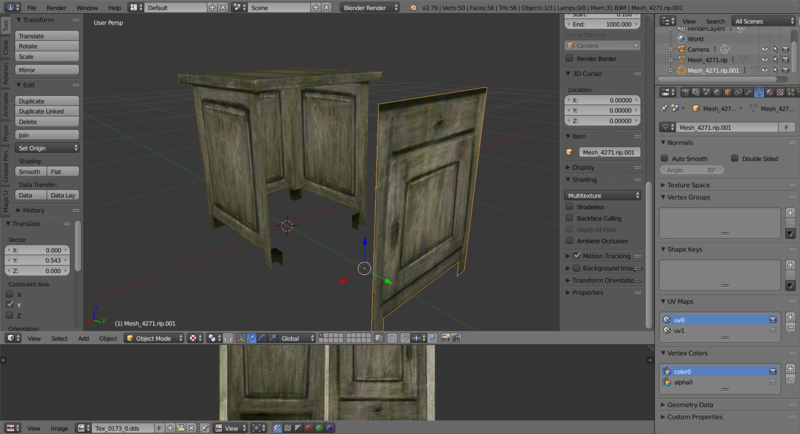 But all the old models with dds normal maps will definitely look better when I am done. I will recompress everything when we get support for normals information in compressed mdls and support for better dds compression types for normal maps, which is all supposed to be coming with the new renderer. Just a quick update, I have got the first 27 models updated so far. Sorry for the long wait.